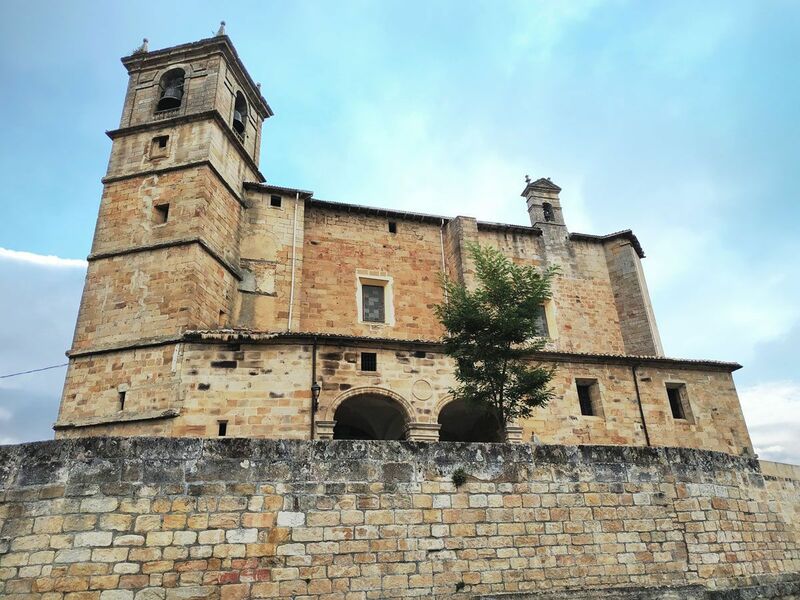 Zalduondo has been since time immemorial on a crossroad that has made this town an inevitable crossing for pilgrims of the Camino de Santiago and for muleteers and merchants who moved around the area. 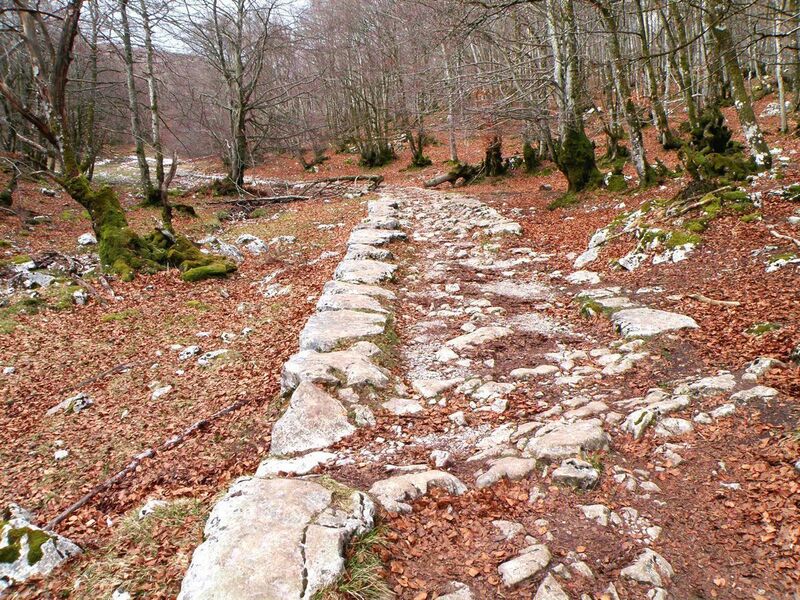 Its proximity to the pass of San Adrián, the natural border between Álava and Guipúzcoa, located in the Aitzgorri mountains, turned it into the gateway to Álava. 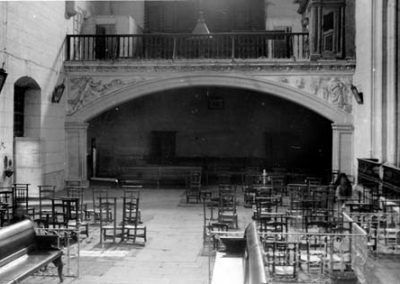 It is no wonder that there was a pilgrim hospital in the past, and also a powerful guild of hawkers that was in charge of examining the dimensions of the products in the prosperous markets of the surroundings. 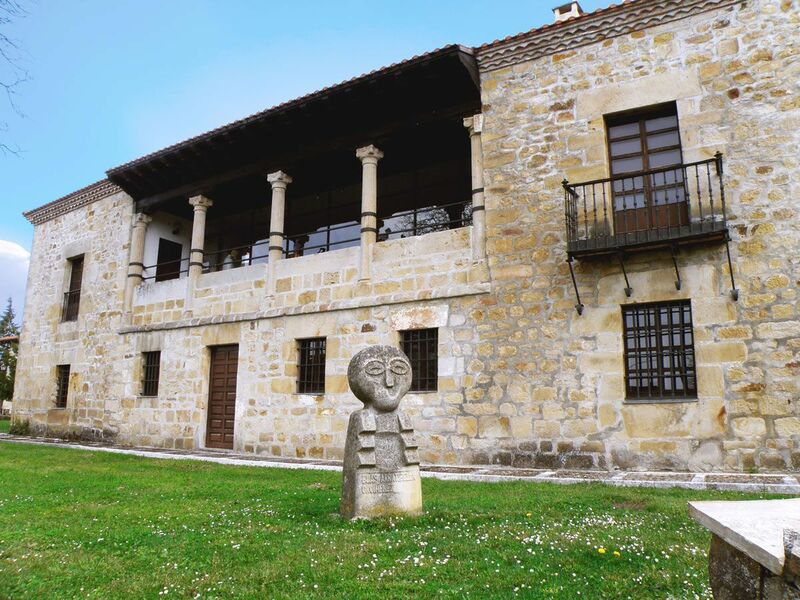 The wealth generated by this bustle of travellers attracted the great families of Álava, who settled in the area and built the palaces that we can now see throughout the town. 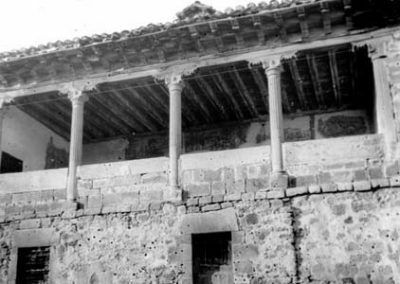 The Lazarraga family, vassals of the powerful Guevaras, who had their manor in the nearby town of Oñate, were favoured by them and were strategically located in certain relevant places. 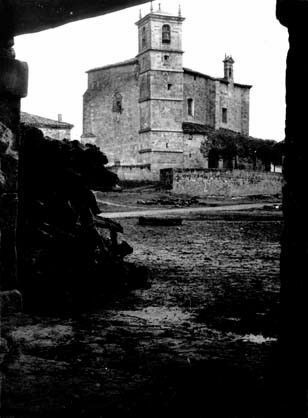 It is the case of Zalduondo: since it was on a crossroads of commercial roads, it was thus controlled by the Lazarragas. 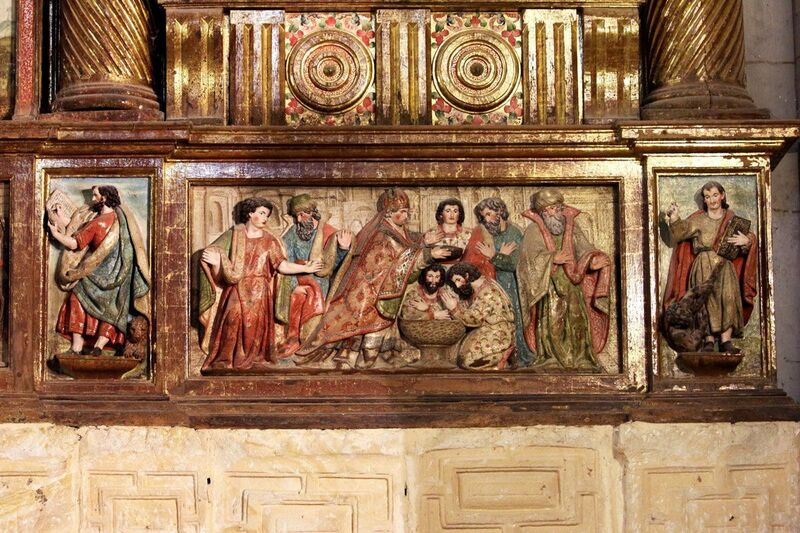 This family was the promoter of important works in the town, such as the parish church, where they built a private chapel that is still preserved, and the impressive Renaissance palace that we find next to the temple. 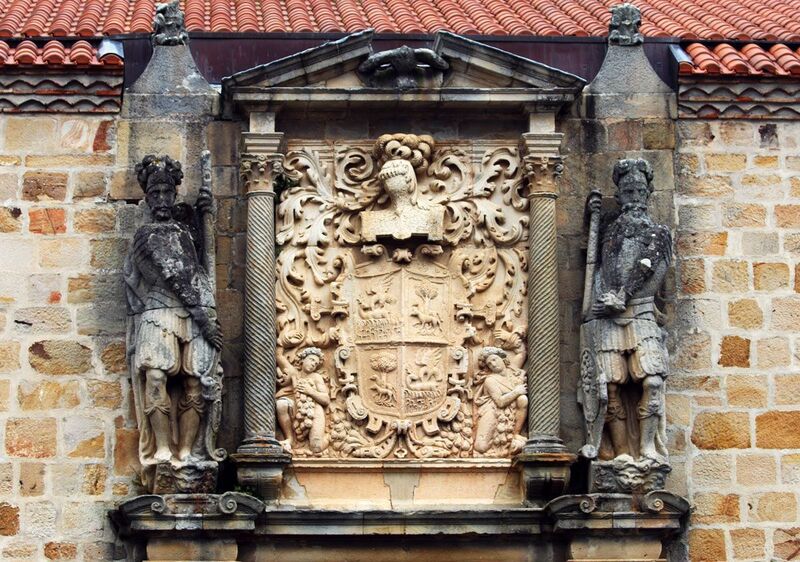 On the facade of this civil construction of the 16th century, an enormous coat of arms of the Lazarraga-Lecea family was sculpted, flanked by two warriors who hold it with great monumentality. The palace has an eclectic style, in which Italian, Castilian and Mudejar influences can be perceived, and even elements that anticipate the baroque style. 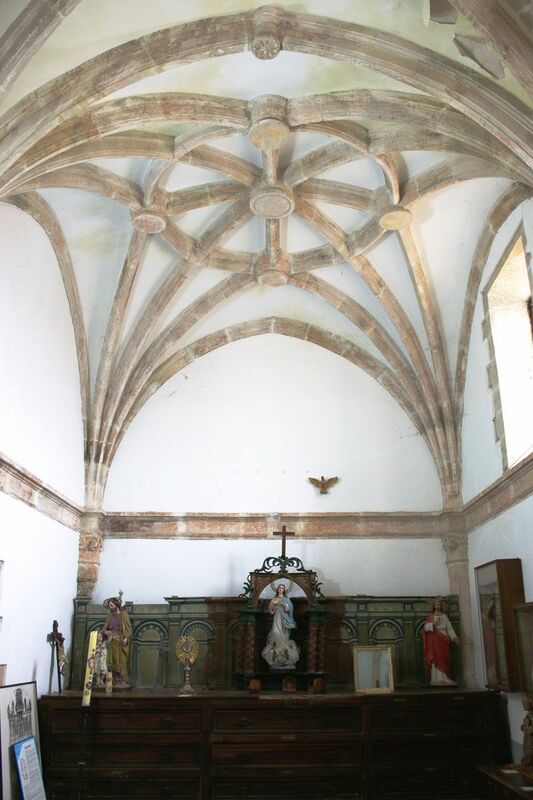 In the 1980s of the 20th century, Zalduondo’s church suffered a partial collapse of the vaults. 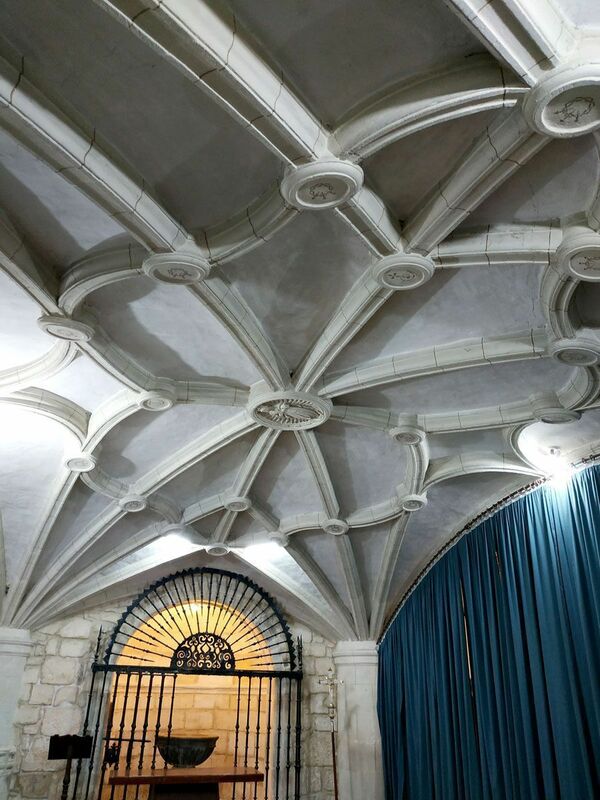 At that time, it was decided to repair the lost vault by rebuilding it with concrete. In order to distinguish the original work from the reconstruction, the restorers decided to apply a different colour to the ribs. Therefore, the recently made add-on can be perfectly noticed. To solve the problems that stem from the instability of the temple, the braces of iron and concrete that were placed on the outside, on the west wall and on the tower, whose function is to hold the structure, are still visible as of today. 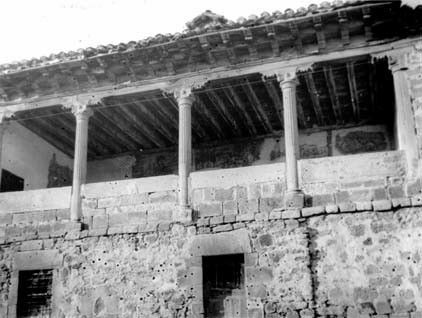 Those elements cannot be found on the old photographs of the church, which date from before the collapse of the building. 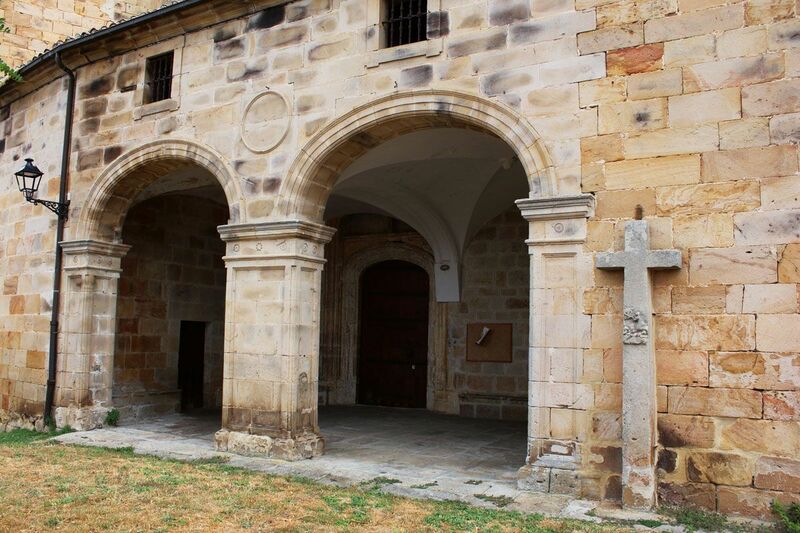 Located on a hill in the heart of Zalduondo, the parish church of Saint Saturnin awaits us. 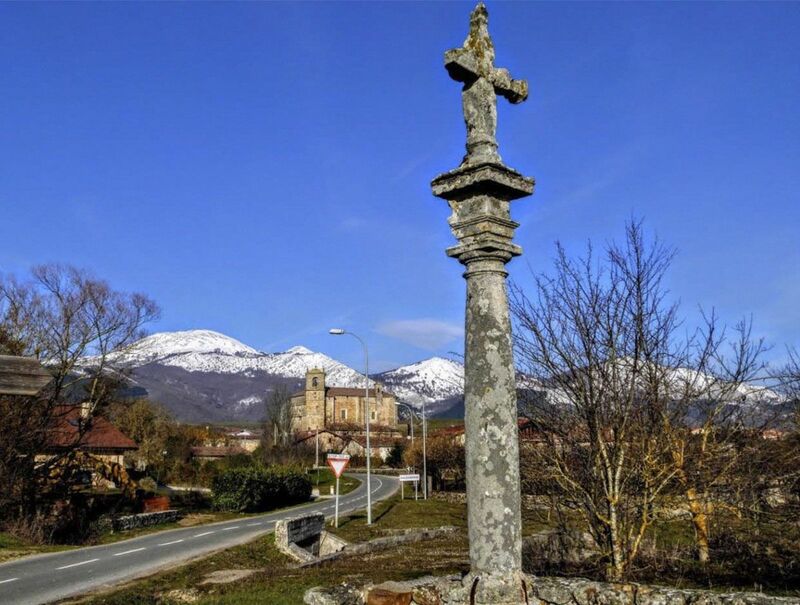 This French saint, deeply rooted in the roads to Santiago, tells us about the connection between Zalduondo and the Jacobean route. 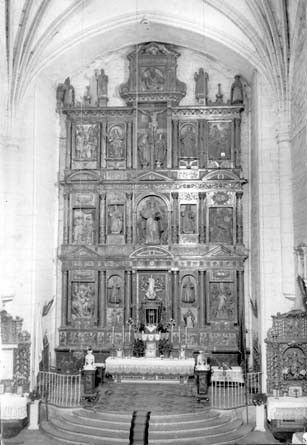 The main altarpiece of the temple is dedicated to him. 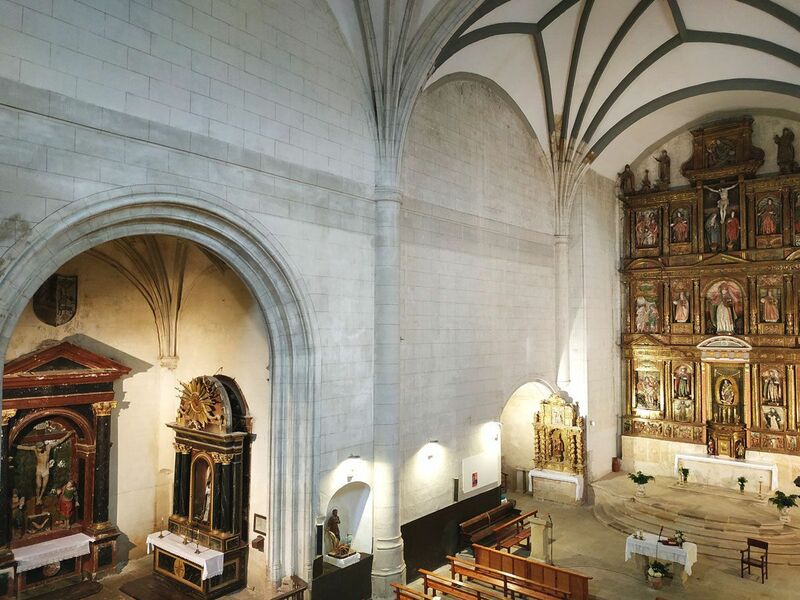 It is the indisputable highlight of the church, which was built during the 17th century. 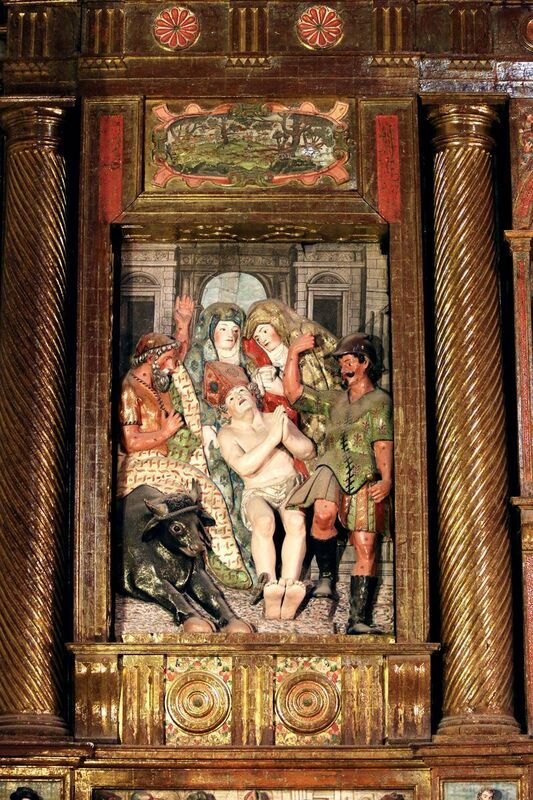 We can see the crossover of two different styles on this altarpiece: on one hand, the romanism of the sculptor Pedro de Ayala, and on the other, the classic taste of the frame. 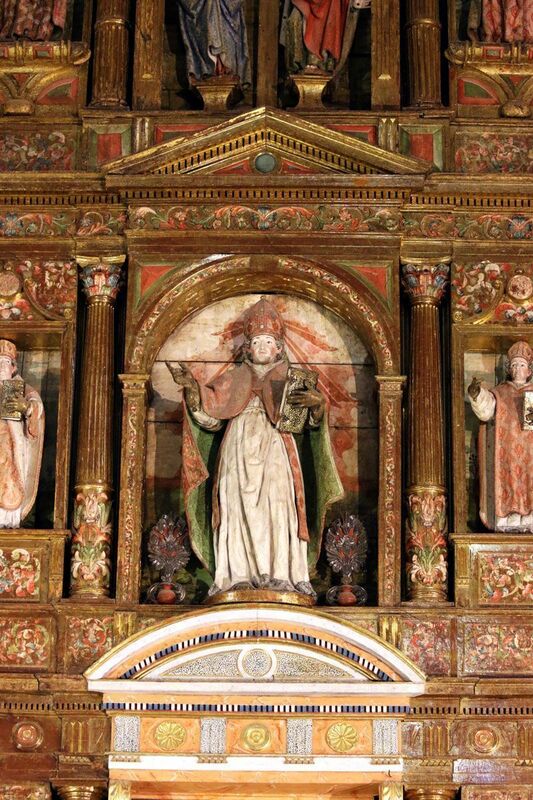 The titular figure of the temple is in the middle of the altarpiece: Saint Saturnin dressed as a bishop. 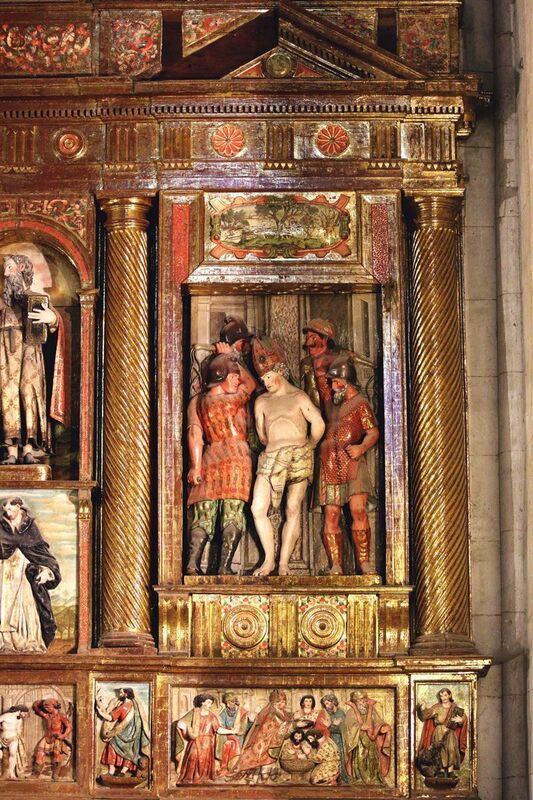 Next to him, some scenes tell us about his life, such as the baptism to the faithful, his imprisonment, the flagellation and finally his calvary, which consisted in tying him up a bull to descend a flight of steps at full speed. 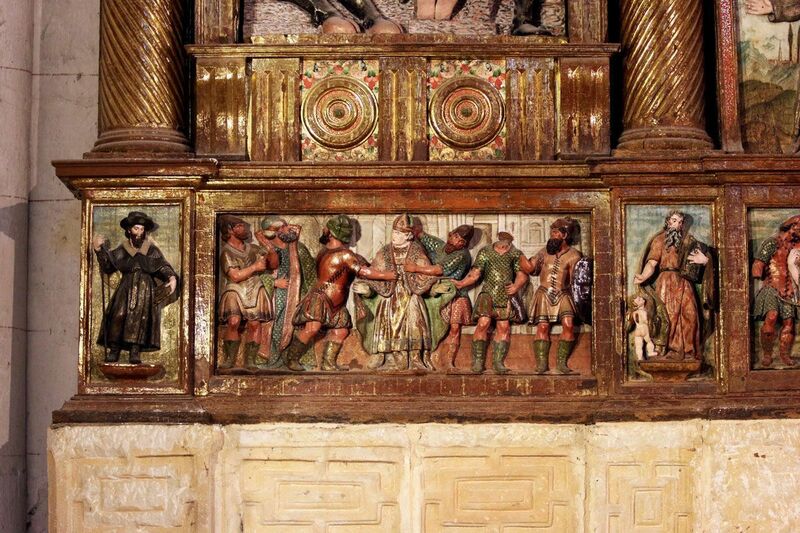 These scenes coexist with others of the life of Christ that are quite similar to the biography of Saint Saturnin, like the fall on the route to the calvary or the flagellation. But there are also scenes of the Virgin Mary, such as the Annunciation and the Visitation, and some other saints and apostles. The image of Saint James as a pilgrim stands out, due to its connection with the Jacobean roads. 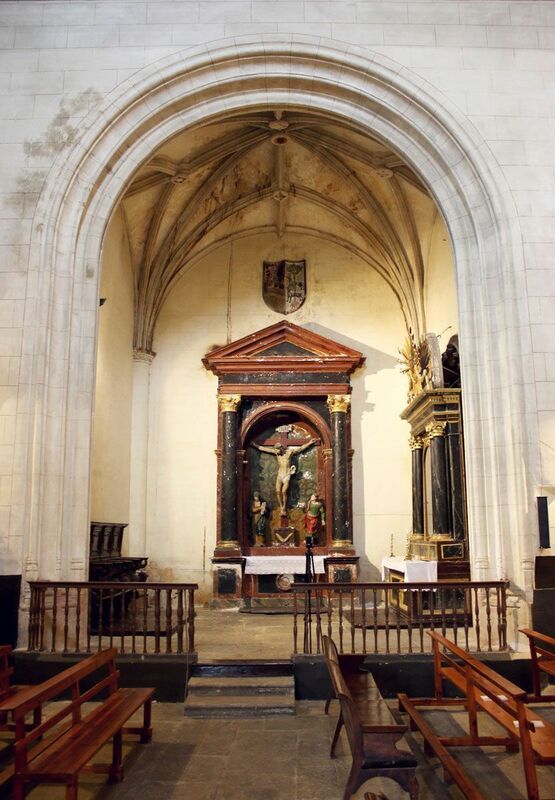 Although the altarpiece is a later addition, the structure of the church announces that it was entirely built throughout the 16th century, right in the Alavese Renaissance. 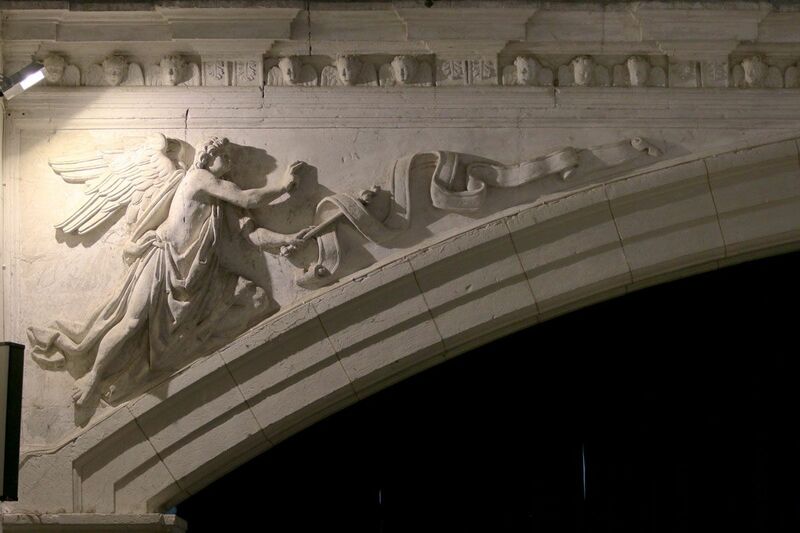 Nevertheless, we can still find some Late Gothic elements that were still relevant in that century. This is the case of the facade, partially destroyed due to the placing of an inner door that damaged part of the original door. Its upper part is hidden behind the barn, which was built just above the portico in the 18th century. 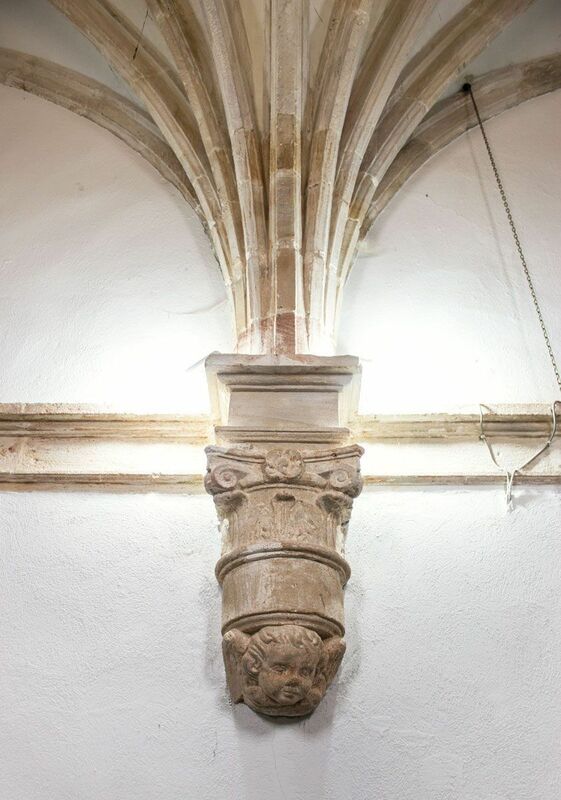 If we head to the sacristy, we will see a space that consists of two sections of vaults of intermediate ribs held by corbels decorated with angels’ heads. Today, it has been transformed into a small museum of the temple. 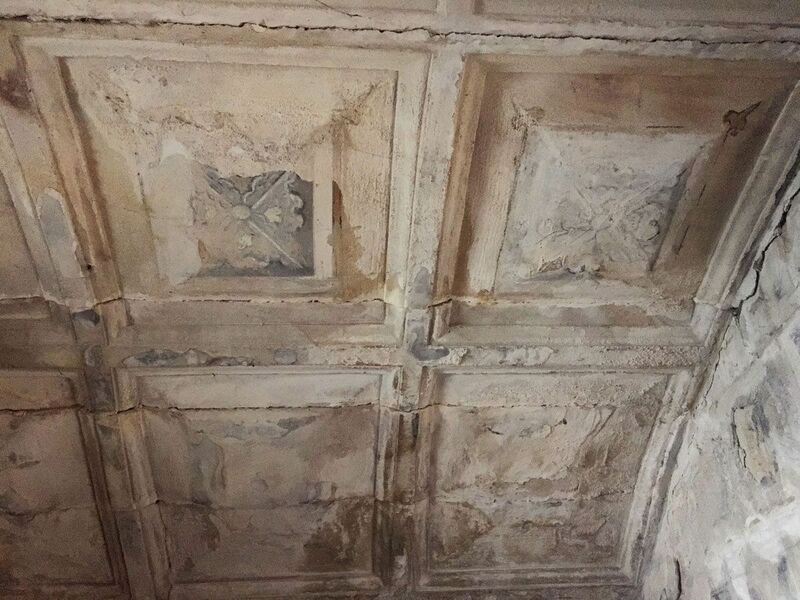 We can find a choirbook among its most valuable pieces, and, specially, two wooden carvings of medieval chronology that were found buried under the church floor. 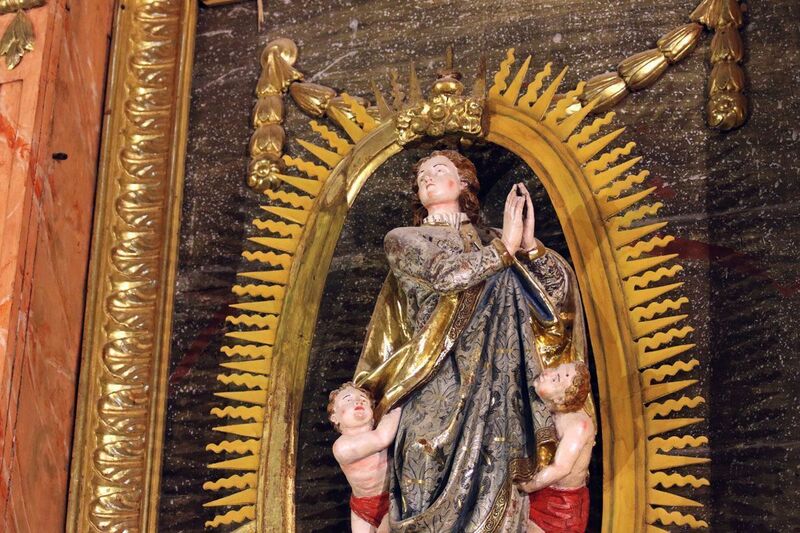 One of them can be identified as Saint Marina, a Galician saint who was very popular on the roads to Santiago. She could have been the main image of a hermitage that disappeared during the 19th century. The vestments of the other figure reveal that he is a monk, although his identity is unknown. 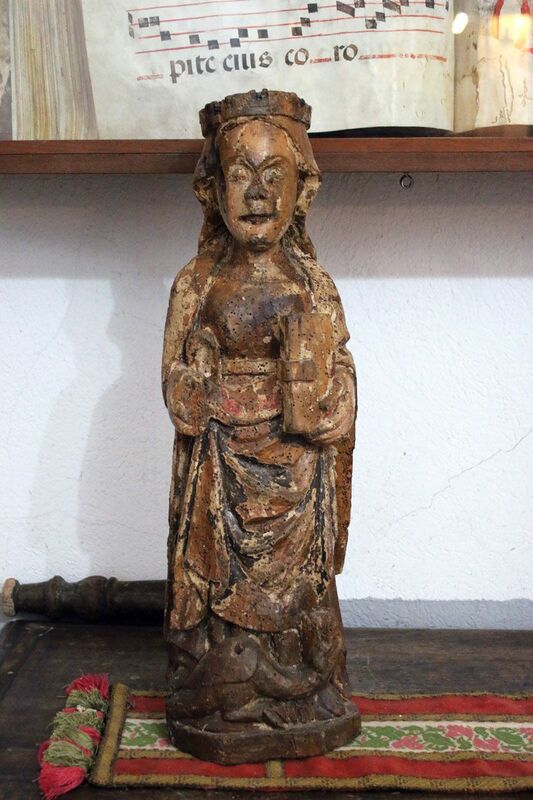 It could be a representation of Saint Saturnin of Tolosa, titular figure of the temple, or perhaps Saint Blaise, who was the advocation of another hermitage in town dedicated to this saint. 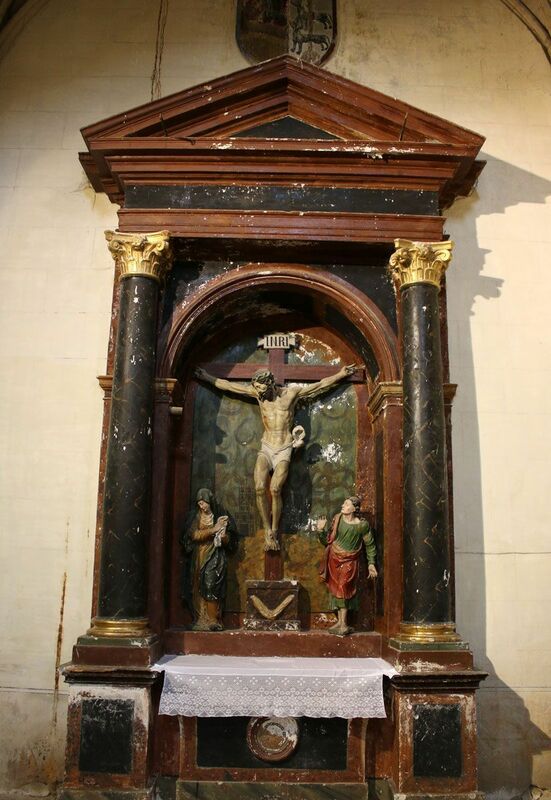 In the choir, we find one of the most beautiful examples of Renaissance sculpture in the Alavese Plains. On both sides, there is a relief of the Annunciation in Romanist style, sculpted under the influence of the models that came from Italy and, specially, of the exaggerated musculature and the expressive gestures of Michelangelo. In the scene of Mary, we see the Holy Spirit descending in the form of a dove, also accompanied by the child carrying a cross, who is going to incarnate in her womb. 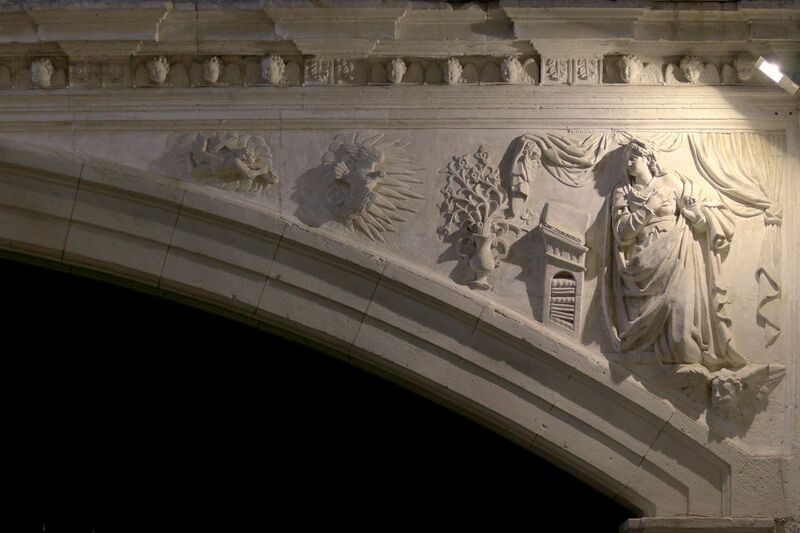 The area below the choir only has a carved keystone in the whole set, where the Immaculate is seen surrounded by flames and crowned by stars, with the moon at her feet and with the Franciscan cord knotted around the scene. 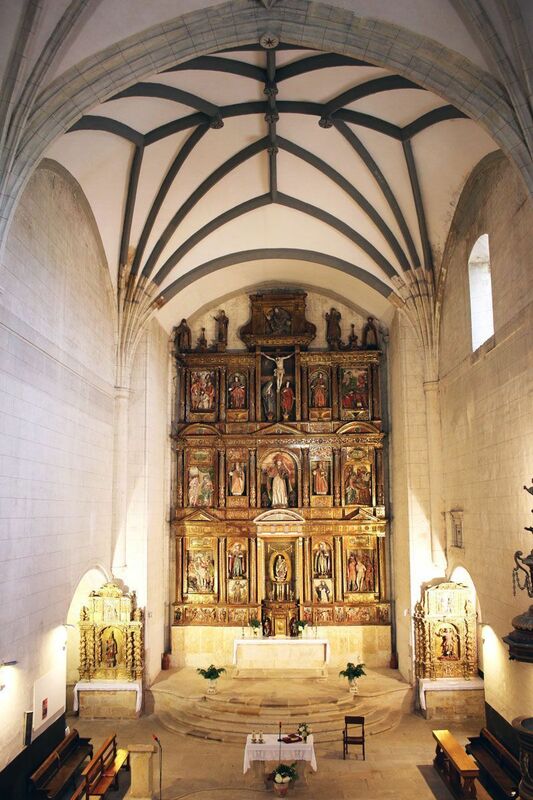 On the north side, next to the choir, a large private chapel opens up, which was founded by Doña María Fernández de Amezaga y Lazarraga. The family’s coat of arms dominates one of the walls. 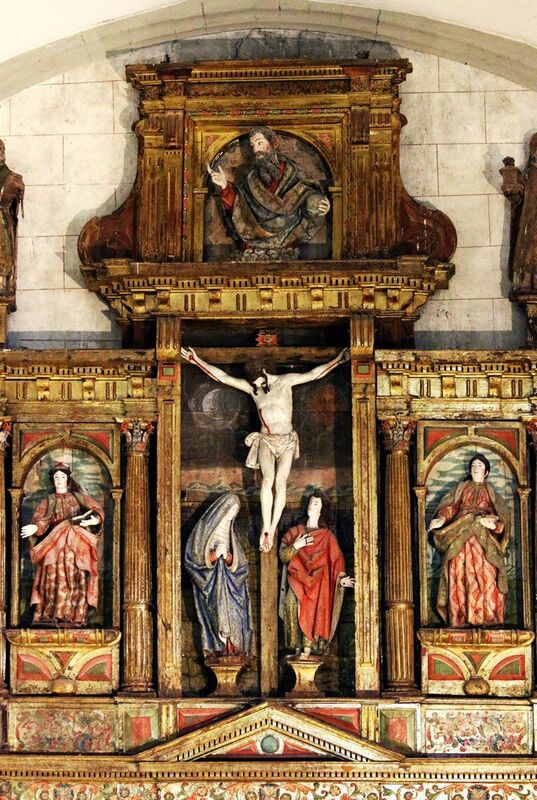 The curiosity of the altarpiece located in the east wall stands out, placed over another previous altarpiece that is still visible from one of the sides. 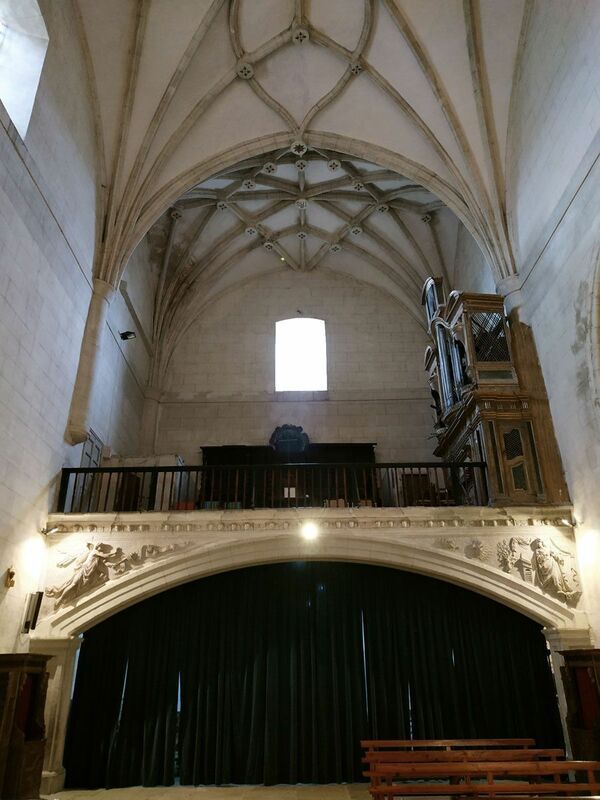 This chapel had its own sacristy that preserves some elements of interest, such as the Renaissance mural paintings based on coffers with flowers that can still be seen despite the wear. 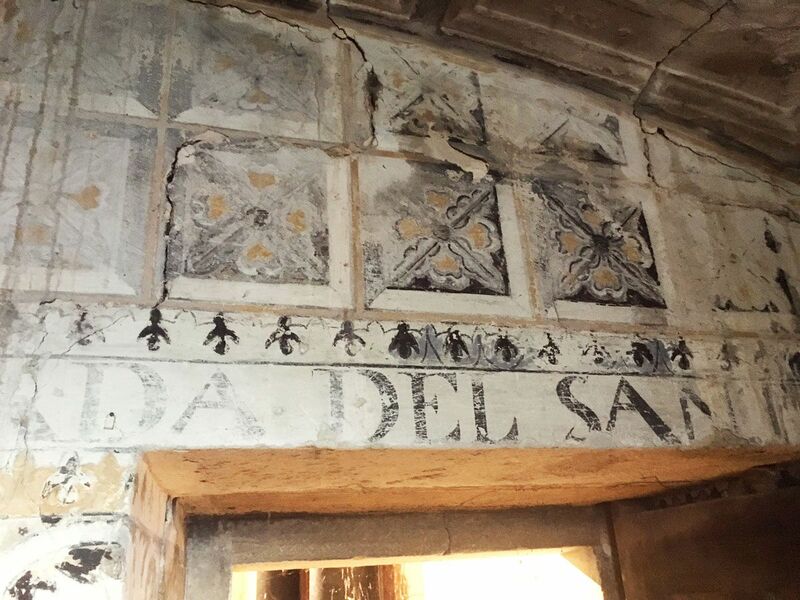 A partial inscription is preserved around the walls, which says: “oración sagrada del santísimo” (“sacred prayer of the Blessed Sacrament”).